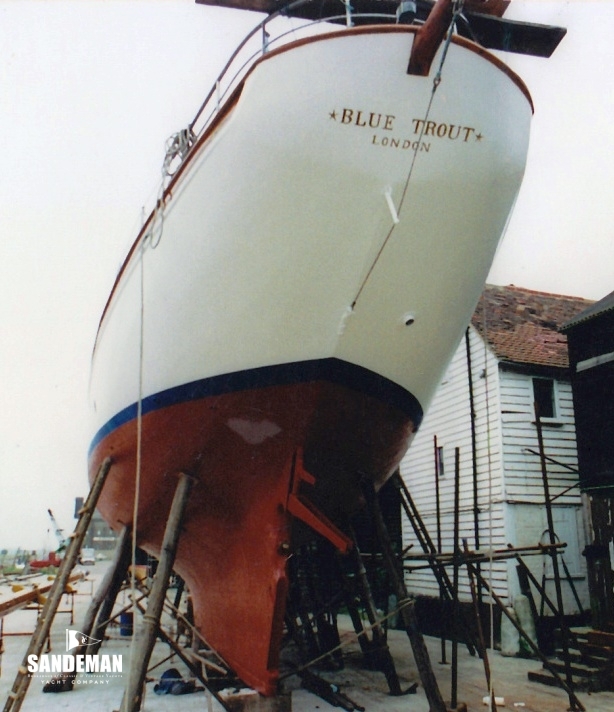 BLUE TROUT is the largest expression of the remarkable designer-builder relationship between Norman E Dallimore and William King & Sons that majored on fast cruisers with classic good looks, attention to detail, the finest of materials and great sailing qualities. 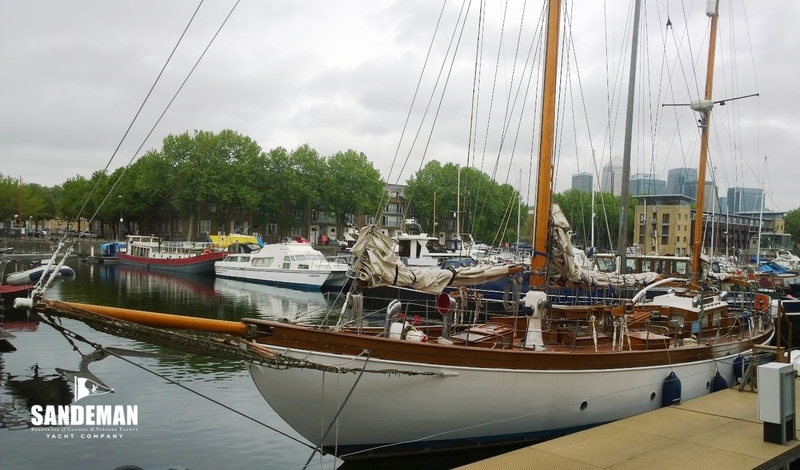 And she may be one of the best proven, having taken her present owner safely and comfortably, singlehanded from Greece to England - with a little detour across the Atlantic via the Canaries and Antigua along the way. 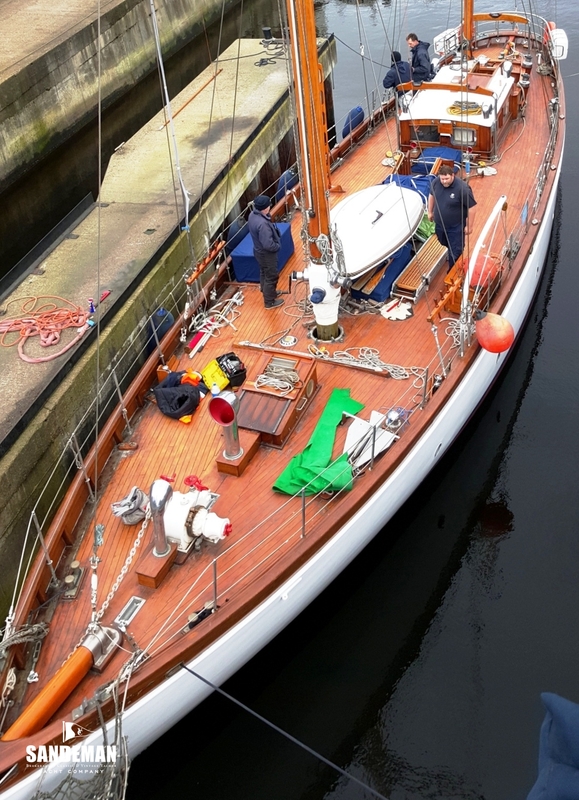 In more recent seasons, though sailing less miles, she has been very carefully cared for and upgraded, remaining afloat and well covered from the elements when out of commission. BLUE TROUT retains the capability of heading once again to blue waters very comfortably. This is a preliminary presentation of a New Listing with fuller specifications and more photos to follow. The man who would state his occupation as "Fishing" in the passenger list of the Canadian Pacific liner RMS DUCHESS of ATHOLL on a May-June 1936 voyage from Montreal to Liverpool might be expected to name his yacht after a fish. 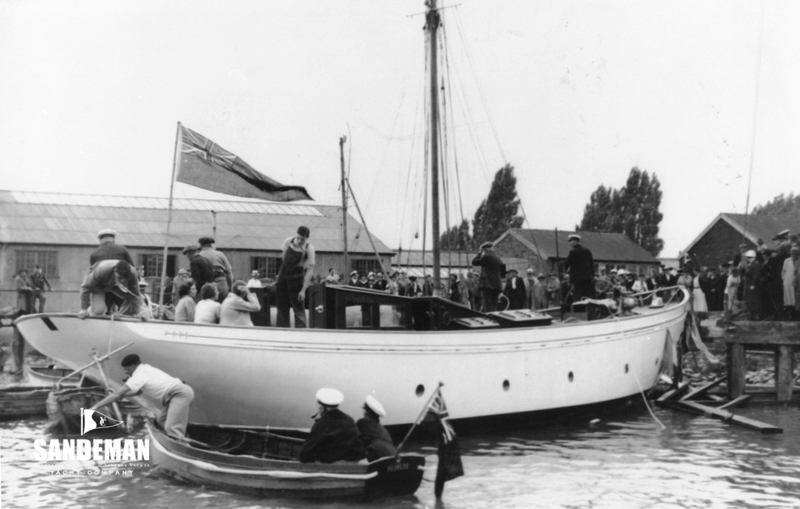 The man was commissioning owner 41-year-old George James Smart, an Essex gentleman of independent means, presumably a keen angler, and a member of Southend-on-Sea's Alexandra and Nore Yacht Clubs, Colne Yacht Club at Brightlingsea, Rochester Cruising Club and Westcliff Yacht Club at Westcliff-on-Sea. During the build she was listed in 1937 Lloyd Register of Yachts as "To be named as DAB IV", and his DAB II in the same register was a 52ft Brooke twin screw motor yacht. 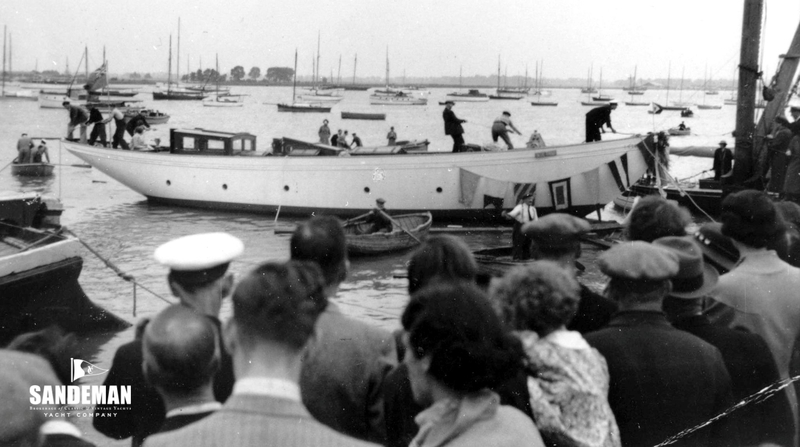 However she was launched as BLUE TROUT - by Miss Vera Wilkinson on Tuesday 27 July 1937 - and still is. 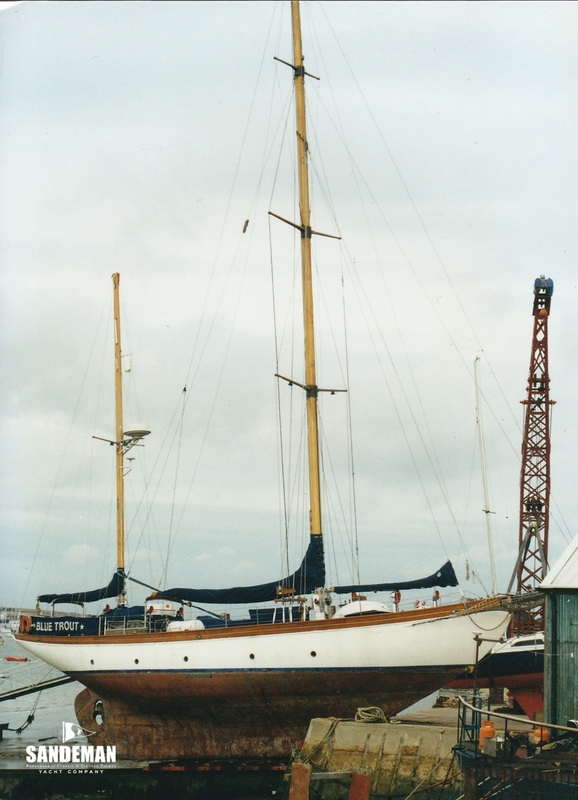 At the time she was the largest yacht to be launched at Burnham-on-Crouch - perhaps that record still stands. 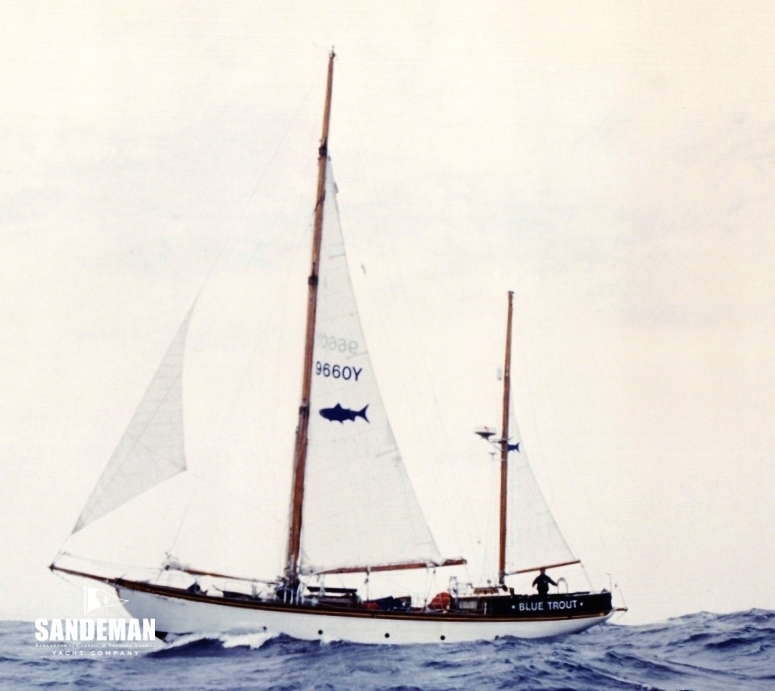 She was originally a bermudan cutter, capable of carrying a very large masthead yankee jib and with an adjustable backstay to a boomkin, thereby reducing safety need in her running backstays when negotiating her tight home waters. 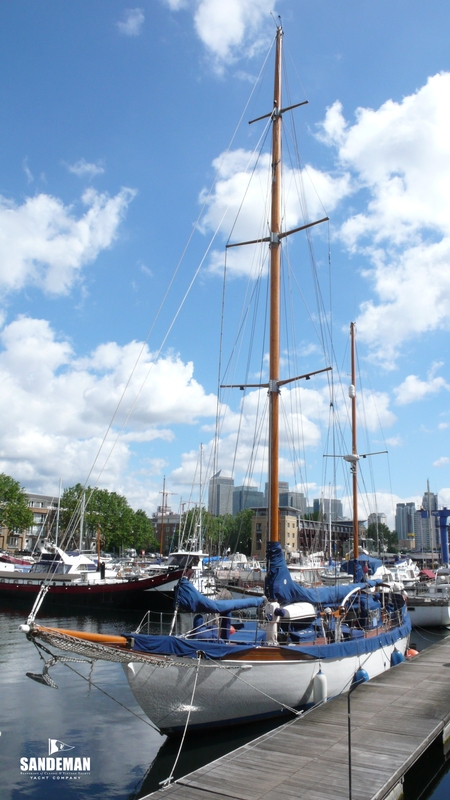 The sail wardrobe was by Cranfield, and auxiliary power came from a 40hp 4 cylinder National Diesel auxiliary engine. 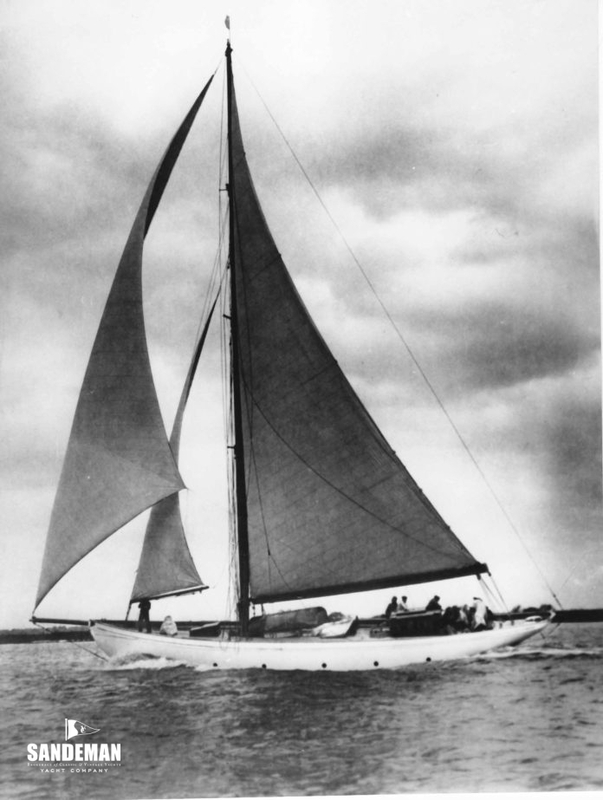 During her first full season in commission,1938, she raced with some measure of success at Burnham Week, winning the Royal Corinthian Yacht Club's coveted Burnham Town Cup from a fleet that included well known names such as DIADEM (Fred Shepherd), THE BLUE PETER (Alfred Mylne) and MAID OF MALHAM (Laurent Giles). 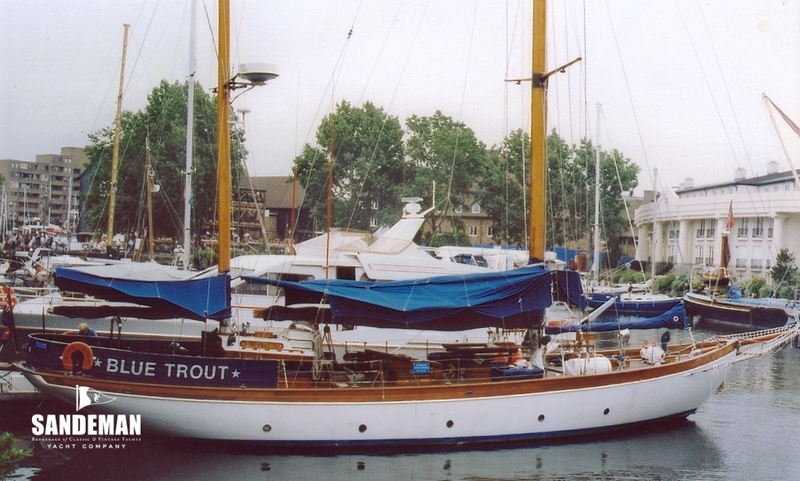 After the second world war, BLUE TROUT briefly appeared under the ownership of Cyril E Harper of Hyde Park Mansions, London, quickly followed by RB Bingham, most probably the owner who fitted her out at Camper & Nicholson and sailed BLUE TROUT to the Mediterranean where she was to stay for over 30 years. The story goes that the 1947 delivery from Southampton to Antibes was under a Captain Johnson who left her in Marseille because there was no more whisky on board. Her accommodation was rebuilt there in sycamore, a GM 2 cylinder 71hp engine was installed, and at some stage she became French flagged. 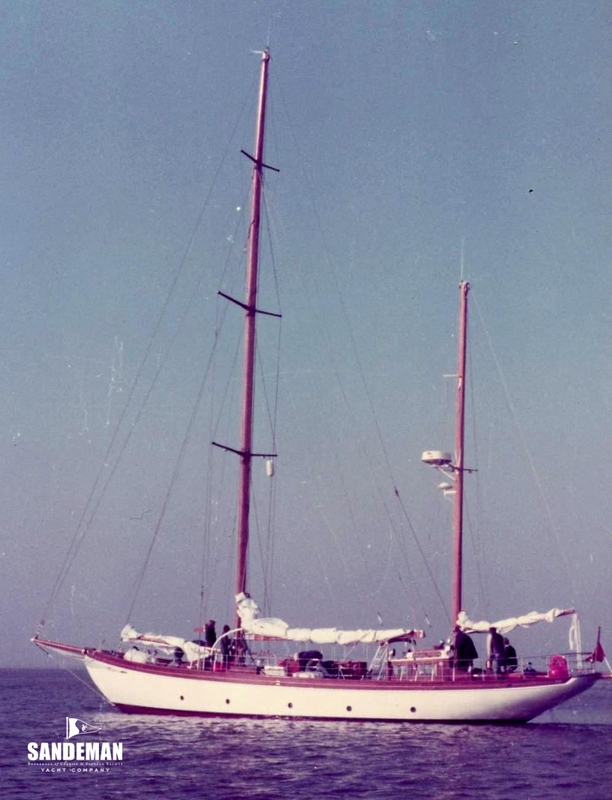 In 1965 Captain Michel Fuega re-rigged her with the present day very handy ketch rig. 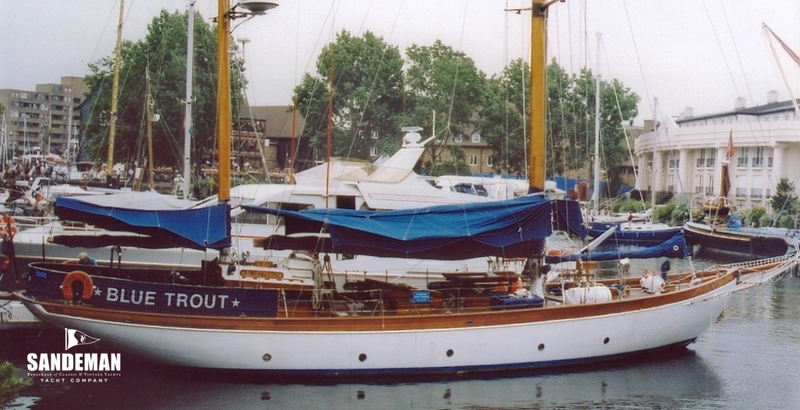 The current owner found her in Piraeus, Greece, in 1982 in a badly run-down state, sailed her back to England and gave her a complete refit at Faversham, Kent, which took around three years, and returned her to the British register. Craftsmen there restored BLUE TROUT to her former luxurious state, with beautifully hand-made interiors and installed a new Nanni engine. 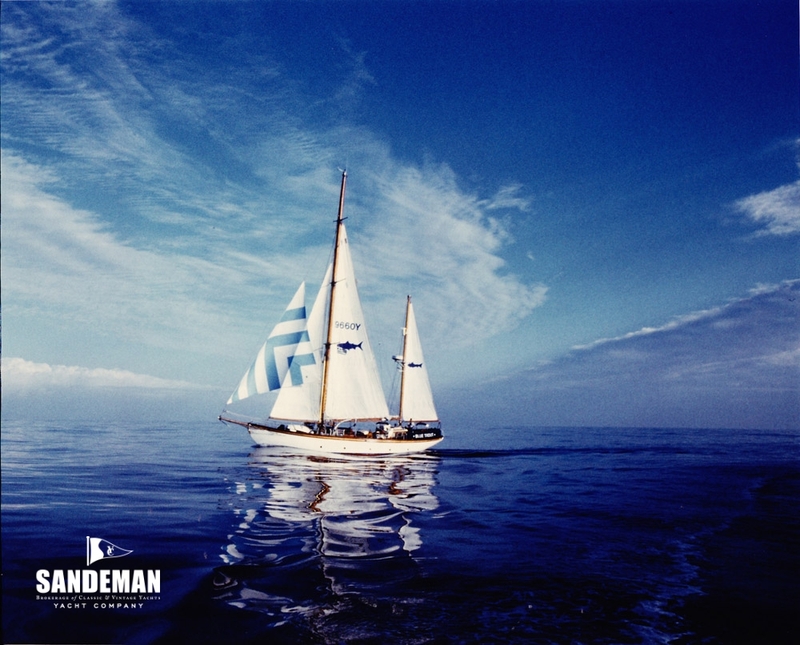 Most of her voyaging since the mid 1980s has been single handed - even her participation in the first ARC transatlantic race in 1986 and the subsequent completion of an Atlantic circuit. Since then she has cruised UK and Mediterranean waters and has been lovingly maintained with a programme of refits and maintenance. In 2015-16 during further comprehensive works, a new Perkins M135 diesel engine was installed. BLUE TROUT has always been a joy to sail and behold.